The guide is quick to let everyone know that the elephants that are bowing in front of us were all rescued. 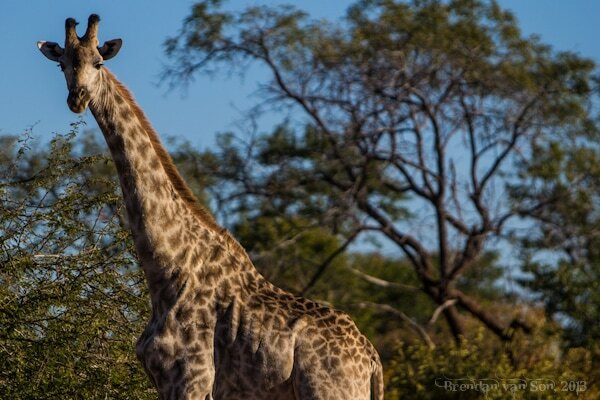 They’ve come to here in Zambia from Zimbabwe after being saved from poachers or people hoping to turn them into pets. But as I look across at the row of beautiful elephants saddled by riders I can’t help but feel like there are some serious ethical flaws to the game, despite the origin of the elephants. Like swimming with dolphins, these elephants are essentially here for our amusement, and the company’s fiscal balance, rather than their well-being. I climb a wooden staircase and stretch my right leg across the broad back of the matriarch of the herd. The handler says something in Shona and the gentle giant creeps ahead. I sway from side to side as she does. There is no doubting the appeal of this type of safari. Beyond the novelty of riding a massive African elephant, the position on their backs offers a completely different perspective of the savanna below. Rather than being blocked by the brush, tall grass and trees, I look down on my surroundings, I can see everything. We approach a herd of giraffe. Though they are aware of us, they aren’t afraid nor are they concerned. I sit nearly at a level with the long necked creature. This is the first time I’ve ever seen a wild giraffe and I’m looking at them at eye-level. They are such awkward animals, but at the same time they have a gracefulness to the way they sway their necks and a peace to the way they look at us. The elephant lumbers on through the brush not at all concerned about finding a space in the brush. She presses right through the trees, trampling the forest as she walks. At a clearing, a pair of impalas sprints from side to side hopping dramatically as they do. In the trees, a couple orange hornbills twist their necks to look across at us but they don’t flee in fear. There is no doubting the experience. It is brilliant. But is it right? Does the fact that you’ve rescued an animal give you the right to train it as you see fit? Are you not trading one human effect for another? Shouldn’t these animals be rehabilitated to go back into the wild, or at least some sort of sanctuary where they can live semi-free? Shouldn’t the baby elephant be brought up like a wild elephant rather than ridden around and trained for future use as an elephant-back safari vehicle? 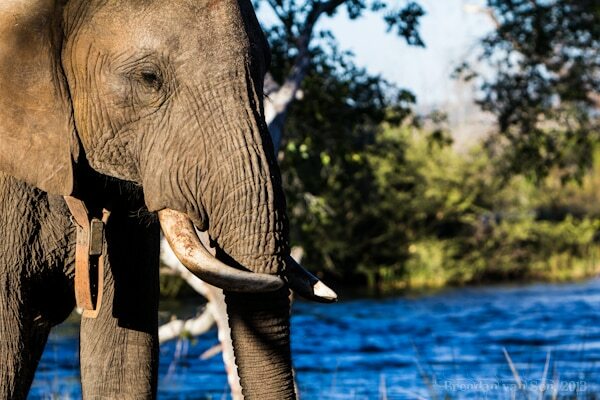 Unfortunately, the answer to all those questions point to the fact that there is a serious ethical issue with what is going on in Livingstone with the elephant-back safaris. Essentially, these animals are being exploited for the financial well-being of the company that rescued them. They have no intention of returning them to the wild, but rather hold them captive as to continue earning from them an income. The devil’s advocate might call this a necessary evil. 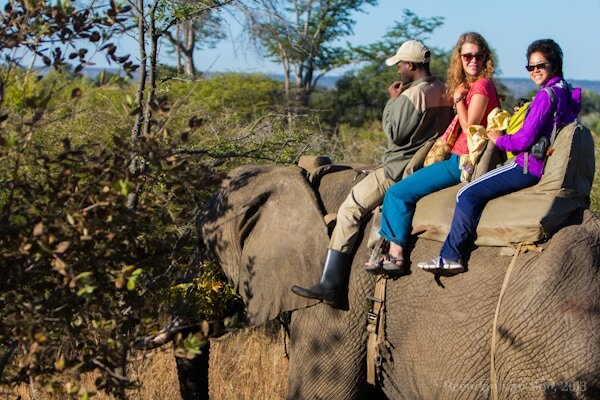 For one, excursions like this teach people about elephants and the need for their conservation. There is a significant educational factor to the program here, and tourists learn the need for elephant conservation. Secondly, one could ask how we see it fit to ride horses, bulls, ostriches and whatever else people ride but not elephants. These elephants aren’t just trained, they are domesticated. At the end of the day, I know that activities like this won’t end anytime soon. In fact, my guess is that their popularity in Southern Africa will only grow. And when it comes down to it, maybe excursions like this are necessary to the conservation and education effort. But for me, I find it more than a little bit difficult not to sit on the back of an elephant and think that this animal should be free. This animal should be wild. This elephant should be wandering without a saddle and a camera wielding tourist on its back. It’s sad that this has become a part of the culture..like in Thailand. Yes! Thank you for bringing this to everyones attention. It makes me sick that we use these beautiful creatures for our own entertainment. Who gave us that right? 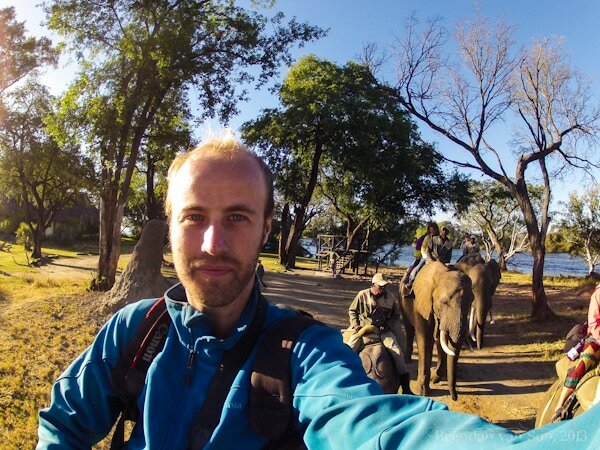 You make some very good points, Brendan, and I can’t help but feel a little guilty about my own experience of an elephant-back safari in Zimbabwe (Gweru). The elephants were kept at Antelope Park, home to a lion conservation project, originally taken in when they were orphaned and not as an attraction. Their keepers explained to us that they offer one elephant-back safari each day to cover the costs of keeping the elephants, and they also trained them for 30 minutes every day to keep them active. All the elephants were trained using positive reinforcement and had free roam of the park the rest of the day. Learning all of this and seeing how the elephants were treated was a big factor in my decision to join the elephant-back safari. I have seen other elephants used for entertainment when I was in Thailand and I was absolutely appalled at how they were kept/treated. That said, while I thought I was quite conscientious in how I took my decision, you are still very right to question the very basics of it all – why should we be riding them? Why weren’t they released back into the wild? Perhaps there were reasons, or maybe there weren’t… and now I sincerely wished I had asked the question. While the concept appeals to my adventurous nature I do struggle with the ethics of any tourist attraction that ‘exploits’ animals for our enjoyment. I use the word ‘exploits’ because as you mention although these animals were rescued their fate is perhaps just a flip side of the exploitation sword. If they are indeed well cared for and find no discomfort in their daily routine then perhaps there is no need for us to be so concerned however I’m sure I would still struggle to relax on the tour atop an elephant that I know should in fact be out in the wild far from any human contact. I am from Kerala, a small state in the southern India where there are more elephants in captivity than in the wild. 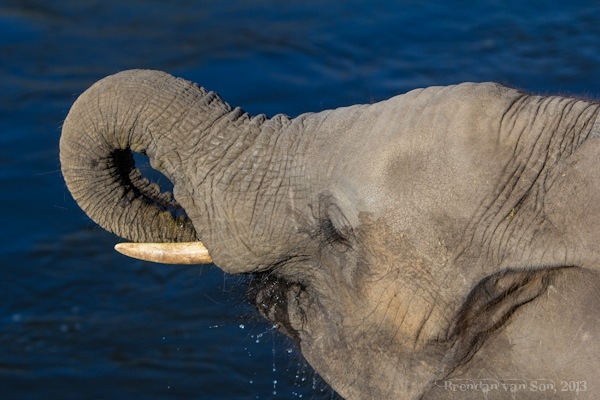 Although poaching has completely stopped, elephants can no longer stay in the wild because of the diminishing biomass for varieties of reasons, and they are coming to the agricultural fields to feed. Sending them back to the wild obviously failed justifying the argument that large mammals either need to extinct or be tamed and domesticated. But then plight/management of captive elephants is so complex because maintaining them requires very high levels of skill, commitment and money, all of which are very scarce here. Besides, the elephants need to ‘earn’ very high revenue to make it ‘viable’. So they are used in festivals for which elephants are in very high demand and the captive elephant lobby (owners, mahouts, vets, and others in the elephant ‘industry’ (if you may like) exploits this elephant craze. As an alternative, we have initiated a pilot demonstration project in which welfare of elephants are ensured and revenue is earned through tourism. Of course we do not claim that their life conditions are better than in the wild but we do know that it is much better than in the elephant industry.